With sealing properties and excellent adhesion to most materials. 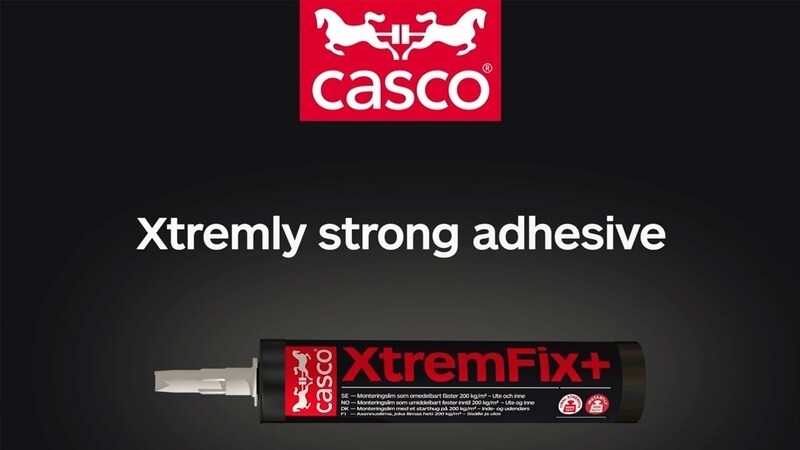 XtremFix+ is designed for indoor and outdoor bonding of various objects such as stones, bricks, window and door sills, mirrors, wood beams and heavy moldings. The unevenness in the joint can be several millimeter. Extreme high initial grab. Adjustment possible first minute. High strength, mechanical resistant and E-modulus. Very good ageing properties and temperature resistance. No shrinkage and extremely good joint filling properties.